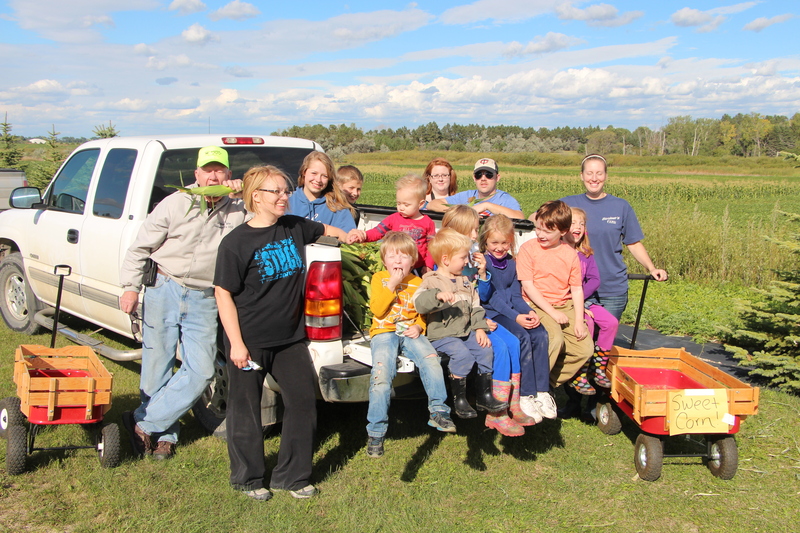 I love thinking about kids and farms… and today’s post talks about some of the things two farms are doing to cultivate the future alongside the crops they cultivate. This photo cracks me up! 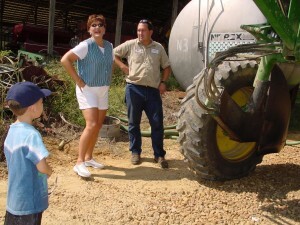 That nephew is now in college, this was a visit to the farm while he was in elementary school. The farm outside of Memphis that is a homebase of sorts for me, it is Bob Walker’s farm! His wife Marjory is one of my dearest friends and Bob always is willing to show my friends and family around, giving my city people a view of the farm. 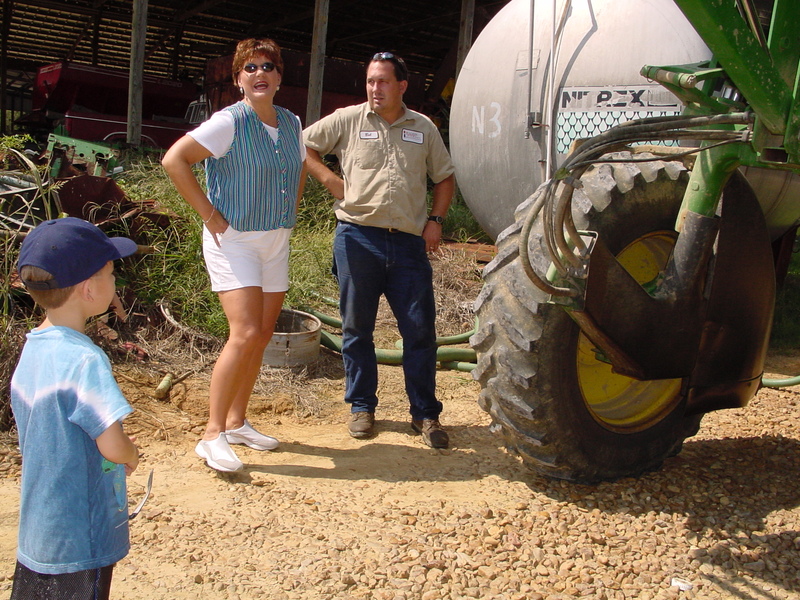 They grow a range of crops — they will have cotton, corn, soybeans, winter wheat and they have a cow/calf operation. I think one thing that makes my farm unique is the implementation, 100 percent, of precision agriculture — we reduce our footprint, we save on inputs, we maximize our yields, we conserve water – all in an increasingly urban environment. 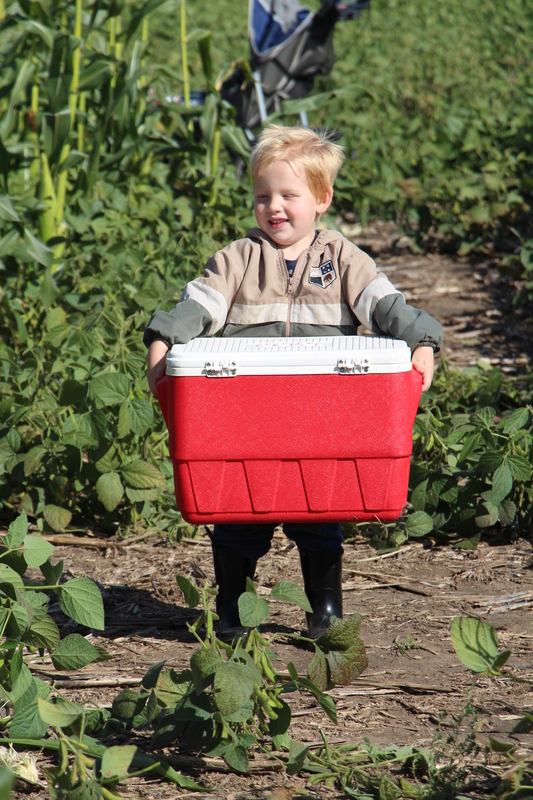 We are early adopters of technology and try to stay on the leading edge of farming practices. I was born and raised on a cattle farm. 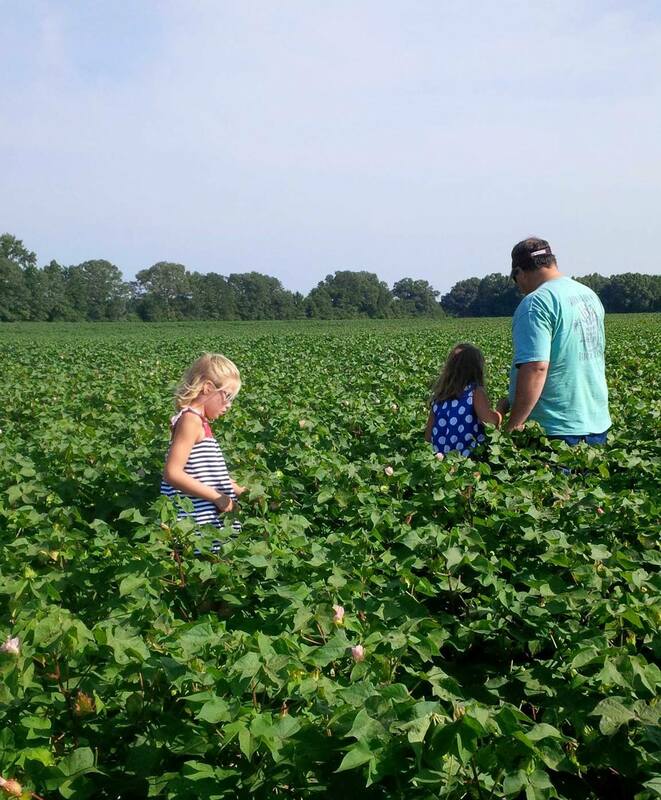 In high school I started scouting cotton with the extension service and really enjoyed the cotton crop. I continued to do that through college. I knew when I went to college that I wanted to come home and farm. 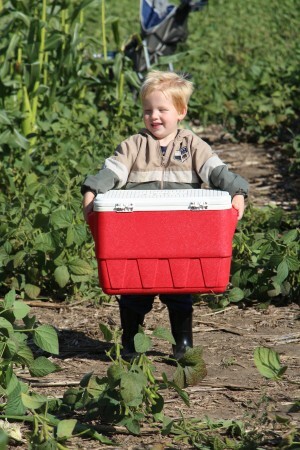 So, after graduation, I came home and started farming with my brother. The opportunity to nurture the soil, the plants, watch the crops grow as you take care of the God’s creation. I love seeing the process from beginning to end. I am blessed by the opportunity to have my children grow up in this environment. 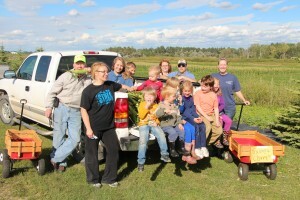 My friends Sarah and Jeremy Wilson in Jamestown, North Dakota have some precious kids we usually refer to as the Wee Wilsons — those cute kids are the fifth generation on the Wilsons farm. This post from the J.S. Wilson Farm page shows a bit of the learning process for the Wee Wilsons. What do they grow on J.S. Wilson Farm? Asking Sarah about what they grow, yields really interesting results! Person who has helped us most?Our Grandfathers- Bill Wilson lost his leg in a farm accident in his mid thirties, same age as Jeremy is now. He farmed until he was 91. Made changes to equipment and never gave up and won awards for helping others with disabilities. He was such an inspiration. My Grandpop, Arthur Tracey, still works on my family’s farm in Maryland every day at age 84. He told me he has no regrets about choosing a life in farming. It’s a good, honest life. 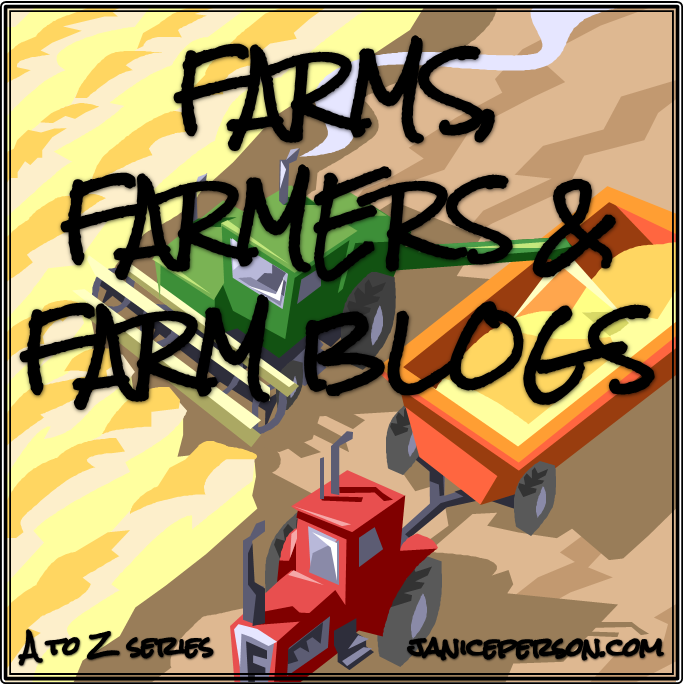 We have officially started the final countdown on the Farms, Farmers and Farm Blogs in this A to Z series! 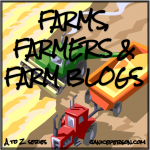 If you were to pick out one topic that really connects farmers that I have missed drawing out of the fine folks featured… what would that be?